QUEZON CITY--San Miguel banked on a solid second half to turn back Phoenix, 92-82, in Game 2 of the PBA Philippine Cup semifinals at the Smart Araneta Coliseum on Monday night. 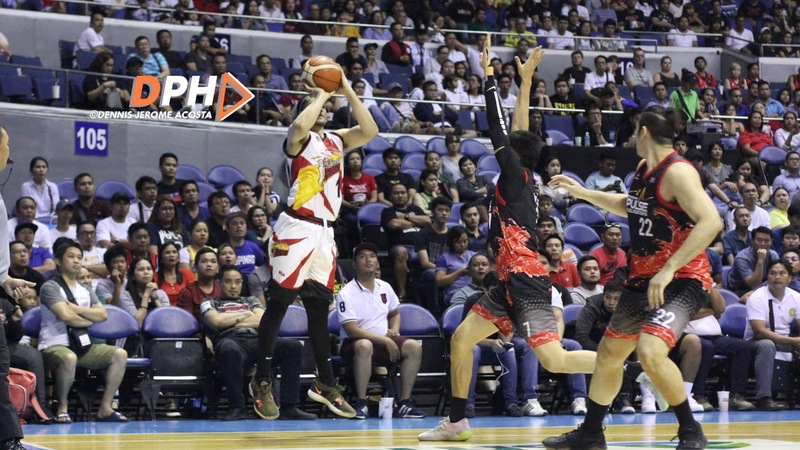 The Beermen zoomed in the third quarter, outscoring the Fuel Masters, 26-17, to turn a 37-46 deficit at halftime to a 63-all deadlock entering the fourth quarter. After a tight game in the first eight minutes of the fourth, SMB pulled away with a game-ending 16-6 run. Marcio Lassiter dropped 24 points, seven rebounds, and three assists for the Beermen, who are now 2-0 up in the best-of-seven series. Junemar Fajardo added 19 points, 18 rebounds, four assists, and three blocks. Calvin Abueva posted 16 markers, 10 boards, six dimes, three steals, and two swats for Phoenix, but he also had seven turnovers. Game 3 is set on Easter Sunday night back at "The Big Dome".